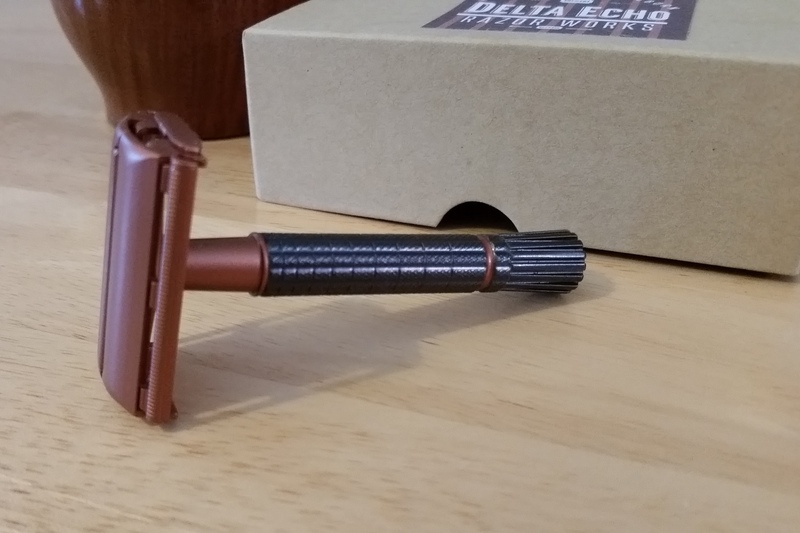 Any one able to give me a time frame on placing a refinishing order with Delta Echo Razor Works? I don't want to pester Jay, and I can't wait to see the finished product! Thanks for your help in calming me down, lol! That's what this is for me, except I am using tax refund dollars to "justify" my purchase as a late Christmas gift! A little less than two weeks for mine, but I am less than 100 miles from them. I just had some communication with Jay, and he tells me the typical turn around is 3-4 weeks. But given the photos I've seen, it will be well worth waiting! (03-19-2016, 12:34 PM)MaineYooper Wrote: I just had some communication with Jay, and he tells me the typical turn around is 3-4 weeks. But given the photos I've seen, it will be well worth waiting! Im alright with that! I was expect 3-4 MONTHS! I couldn't be happier! My total wait time was 3 weeks from when I sent it to Jay to receiving it this morning. First shave with my birth year razor will be tomorrow! I also posted more info in the March 2016 thread in the Acquisitions folder of Show & Tell. That is definitely a beauty- use in great health!